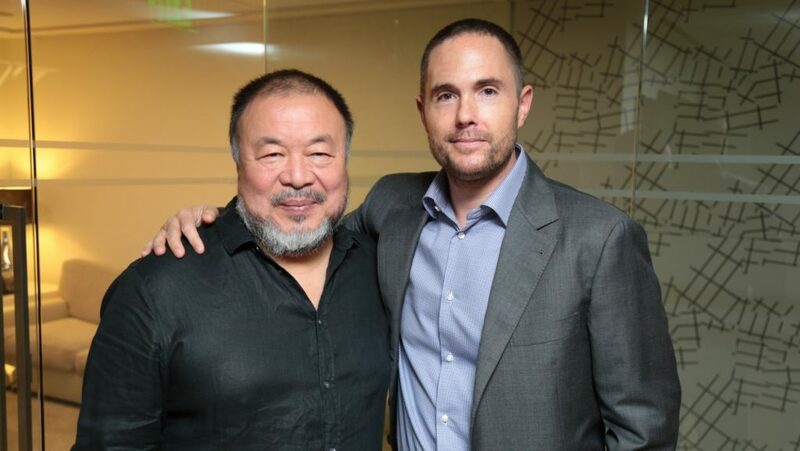 When the late Josh Roth approached his UTA client, Ai Weiwei, about doing a show in Los Angeles, the Chinese artist-activist was elated at the prospect of holding his very first exhibition in the city — so elated he decided to do three. So, three it is: Life Cycle, featuring new works, runs at Marciano Art Foundation through March 3, Zodiac at Jeffrey Deitch through Jan. 5, and opening tonight at UTA Artist Space, Cao/Humanity, through Dec. 1. Cao/Humanity fills that space with a range of Ai’s work, from the glass sculpture Up Yours (2018) to the two-ton Iron Tree Trunk (2015), including several of his marble sculptures. The exhibition also allows visitors to contribute to a collective performance project by recording a reading of an excerpt from Ai’s book Humanity in the gallery. The collected messages will be presented publicly through a video projection updated daily — a nod to the artist’s cherished cause, the worldwide refugee crisis, made vivid in his award-winning 2017 documentary, Human Flow. Along similar themes, Life Cycle at the Marciano is a continuation of Ai’s 2017 work, Law of the Journey, a pontoon lifeboat made of inflatable PVC rubber. The new work features the same life-sized boat filled with human figures made from bamboo wicker. On the base supporting it are quotes — “I’m not an Athenian or a Greek, but a citizen of the world.” – Socrates, or “Recognize yourself in he and she who are not like you and me.” – Carlos Fuentes. Ai views Sunflower Seeds (2010), a mass of individual porcelain pieces crafted by 1,600 artisans, as a statement about perception. Visitors will view them as a group, but each is individually crafted bearing a personal touch, a point that is easily lost, just as an aggregation of people, citizens or refugees, can easily be conflated into a single faceless group. Alongside the seeds are 300,000 Song Dynasty Spouts (2015), sourced from the same village, which has produced porcelain for 1,000 years. A Song Dynasty teapot is an expensive antique, but when separated from its spout, becomes useless and valueless. By recognizing this and accumulating them into one sprawling work of art, Ai has restored their value. Accompanying Stools in Deitch’s space are sculptures of cubes — one consisting of a ton of tea, and others made of marble, porcelain and crystal, collectively commenting on modern minimalist works. Also on hand is Lego Animals, a reconstruction of his 2010 bronze installation depicting the 12 animals of the Chinese zodiac made of the toy blocks.